Audi, a leading automobile manufacturer, said it has delivered around 1,812,500 automobiles to customers worldwide in 2018, 3.5 per cent less than a year ago. In Europe, sales fell 13.6 per cent in the past twelve months. On the home continent, Audi had replaced almost a third of its deliveries with important model changeovers for the A1, A6, A7 and Q3 since the start of the year. In China, the Ingolstadt-based carmaker reaffirmed its position as the most successful premium brand for the 30st year in succession. In North America, the company closed the year on a par with the level of last year (-0.9 per cent). Around 154,550 customers worldwide chose an Audi in December, a decrease of 14.3 per cent. “The positive feedback from our latest models demonstrates our brand’s strength, while we prepare for the new challenges ahead this year,” he added. In China, Audi once again closed the year with a new record-breaking figure, with 663,049 automobiles sold representing an increase of 10.9 per cent. The sales volume has increased more than fivefold over the past 10 years. In 2018, the Four Rings saw demand soar for the locally produced premium models A4 L (+42.6 per cent to 163,279 cars) and A3 (+12.7 per cent to 91,173 cars) in particular. The company sold more than 10,000 units (+4.0 per cent) of the new edition of its full-size flagship, the A8 L, in 2018. In October, a long wheelbase version of the Q2 tailored specifically to the Chinese market joined the local portfolio; this version is aimed particularly at young customers. 2019 will see further highlights arriving at dealers in the Middle Kingdom, with the market introduction of the new A6 L shortly. With the Audi Q2 L e-tron as the first locally produced electric car and the Audi e-tron as an import model, Audi also aims to set an important milestone in the second half of the year for the electrification of the Chinese model range. 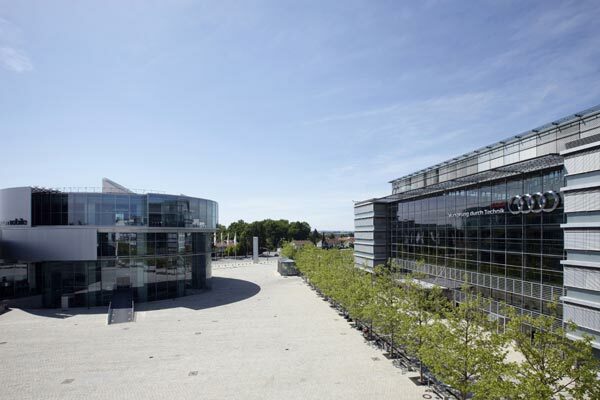 Model changeovers, numerous political and economic uncertainties as well as the changeover to the new WLTP test cycle dominated business for Audi in Europe in 2018. Across all models, sales on the home continent fell by 13.6 per cent to around 743,600 units over the year as a whole. The A7 performed well, with sales up 47.4 per cent to around 10,100 units since January. Attracting around 16,000 advance reservations, the Audi e-tron also caused a stir among European customers. In December around 51,500 customers (-20.9 per cent) in Europe received their keys for an Audi. The company continues to work at full speed on the homologation of its models. Week after week further engine/transmission variants can be ordered again in the configurator. In the US, Audi once again achieved very strong sales in 2018, ending the year with 223,323 customers, slightly below the comparative figure for 2017 (-1.4 per cent). The Q family in particular is providing a great deal of momentum in the US. Demand for the sporty off-roaders grew above-average by 8.3 percent to 126,252 units. For the first time in the history of Audi of America, SUV sales account for 57 percent of deliveries. The most popular Q model is the Q5, with demand increasing over 21 per cent to 69,978 cars. Audi Canada also benefited from the SUV trend, achieving a new record-breaking figure (+2.5% to 36,908 cars).